Heart To Table™ is a transformational dinner experience that's traveling the world uniting people onto one table sharing in a heart-centered adventure together. 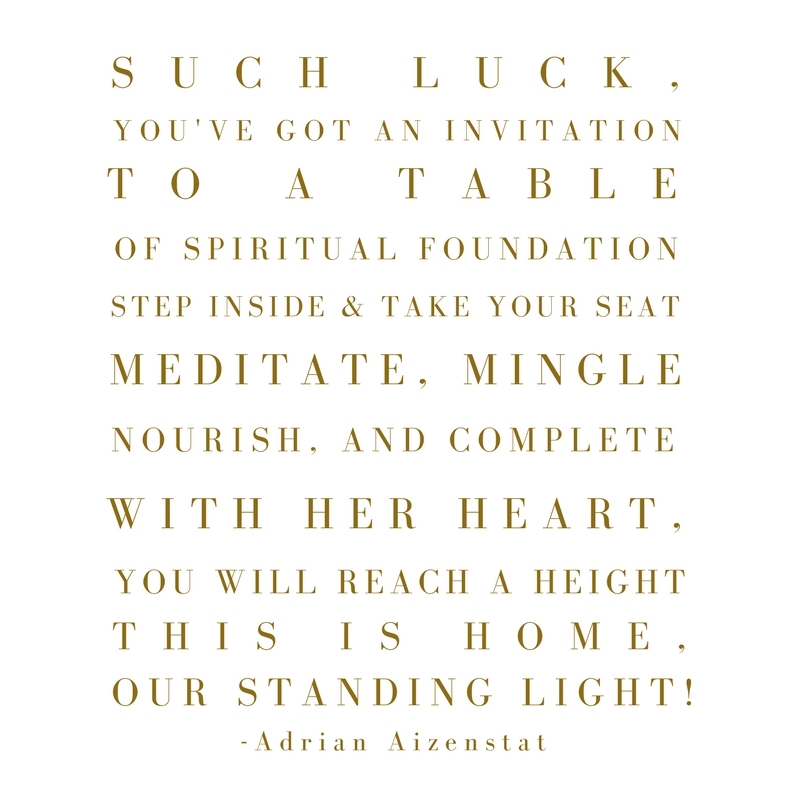 H2T blends the ingredients of community, mindfulness, meditation, personal transformation & magic! A workshop based in the most beautiful setting with delicious plant-based food. This event goes beyond the table and awakens you to the understanding that love is the most nutritious & delicious ingredient you can add to any meal. Come gather, come connect, come play, & come create a deeper connection with yourself and new friends! CLICK HERE TO DIVE INTO AN EVENING OF SENSORY de-LIGHT! Heart to Table™ dinners are held in unique spaces and restaurants with chefs that have a deep respect and connection to earths' gifts. Creating dishes with whole foods that have been sustainably sourced and farmed, created with love, in honor of mother nature. Our mission is to come together for a night of celebration through profound nourishment and riveting conversations that ignite our inner light and spark an enlightening ripple effect. The most BEAUTIFUL dinner I have ever been to!